There are three things you can use to protect your phone: a screen protector to prevent scratches, a shock-absorbing case to prevent breakage, and a phone grip to prevent falls. 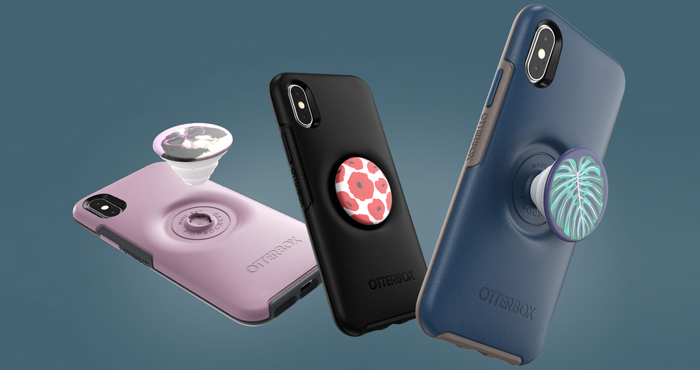 Through a collaboration with PopSockets, OtterBox checks two of these boxes with its Otter + Pop line of cases, which combine a highly-protective case with an integrated PopGrip. The PopGrip lies flush with the case when you're not using it, and pops out to service as a grip or stand when needed. PopSockets are known for their variety of styles and colors and the range of PopGrips that are available for the Otter + Pop doesn't disappoint. The top of the PopGrip, the PopTop, can be swapped for one of 35 new looks (though you can't use the existing range of PopSocket tops). Some PopTops and case styles are exclusive to Verizon or Target. 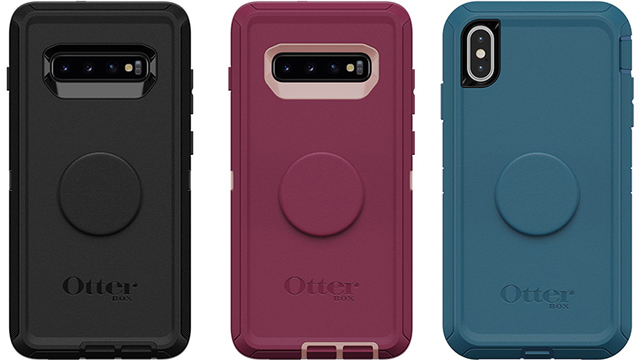 The Otter + Pop cases come in two series, the slimline Symmetry cases for iPhone (shown above, starting at $49.95 on Otterbox) and the Defender cases for iPhones Samsung Galaxy S10 series phones (shown below, starting at $69.95 on Otterbox). We like the MaxBoost Screen Protector for iPhones ([13.95 for iPhone X/XS (3 pack), $13.95 for iPhone XS Max (3 pack), $8 for iPhone 6/6s/7/8 Plus and 6/6s Plus (2 pack), $8 for iPhone 6/6s/7/8]. It's only 0.25mm thick and made of tempered glass, which offers the best possible protection for your phone screen. The protector only covers the flat part of the screen, not the iPhone's curved edges. That may seem like a disadvantage, but it actually helps the protector be compatible with more cases that tend to curve around the edges. For the Galaxy S10 models, you'll need a screen protector that can work with the phones' sensitive ultrasonic fingerprint sensor, which is embedded in the screen. We recommend the Whitestone Dome Glass screen protector ($49.99, check price on Amazon). Beware, though, it's tricky to apply. And be sure to check out our picks for 7 essential phone accessories under $50 and our favorite wallet cases for iPhones.